Shelton hasn’t had the pleasure of standing behind his tables and selling comics in quite a while! 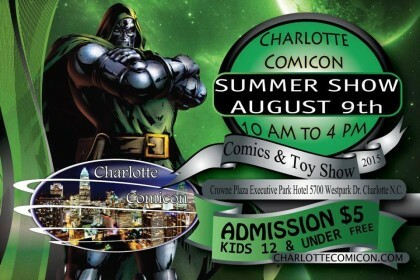 That all ends Sunday at Rick and David‘s Summer Charlotte Comicon! The hours have been extended to 6PM, so come on out and let’s DEAL! We’ve announced dates for our Charlotte MiniCon 2016 and HeroesCon 2016. Save those dates and look for another big in-store signing event announcement next week!